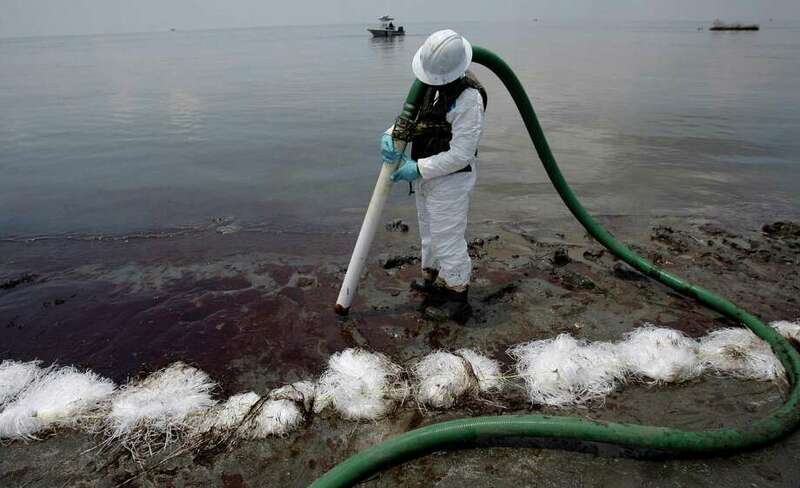 The federal body assigned to divvy up civil penalties for restoring the Gulf Coast after the BP oil spill voted this week to exclude Harris County from its calculations of communities that qualify for spill impact money. Eliminating the county's population of 4.3 million from the equation means that Texas likely will draw a smaller portion of the $240 million total set aside for spill impact projects, although how much less is not clear. Based on percentages the Gulf Coast Ecosystem Restoration Council set for the five Gulf Coast states, Texas will be allocated just over $18 million for spill impact projects. In the aftermath of the 2010 spill, various payouts were made to individuals, businesses and states growing out of fines, lawsuits and settlements. Considered the largest marine oil spill in history, it was caused by an explosion on the Deepwater Horizon oil rig in the Gulf of Mexico. It is possible omitting Harris County from this payout did not short funding levels for the state, but it could mean Harris County does not have a seat at the table, said Rock Owens, who oversees environmental cases for the county attorney's office. "Our concern is that we are missing an opportunity to participate in the planning process for how the funds are distributed and spent," Owens said. The county attorney, Mayor Annise Parker and Toby Baker of the Texas Commission on Environmental Quality all submitted appeals to the council for reconsideration after Harris County was left out of the initial accounting. The final decision by the federal panel on Wednesday does not preclude the county from applying for Restore Act funds. County Attorney Vince Ryan called the move "a significant oversight and contrary to the intent of the Spill Impact component's formula," explaining that his office would continue to work toward Harris County getting "its fair share of benefits under the Restore Act." Baker, who is a voting member and represents Texas on the panel, abstained, as did the Louisiana representative. The council voted to give 34.5 percent of the $240 million to Louisiana, 20.4 percent to Alabama, 19 percent to Mississippi, 18.3 percent to Florida and 7.5 percent to Texas. That money could be spent on projects to protect, conserve or mitigate damage to natural resources, ecosystems, fisheries, marine and wildlife habitats, beaches and coastal wetlands. It can be used for jobs, improvements at coastal state parks, port infrastructure and coastal flood protection. It can also be dedicated to promotions for tourism or for seafood harvested from Gulf Coast. Part of the council's task was to hammer out the geography of Texas, which the panel found to be the most geographically complex of the five states eligible for funding, because several of Texas' interconnected waterways are geographically distinct from the Gulf of Mexico. The Council considered coastal counties used by the State of Texas Railroad Commission, which leaves out Harris County, and the Texas Coastal Management Program, which does not name coastal counties, but assesses a "coastal zone." "I disagree with the Council's decision to exclude Harris County from the definition of 'coastal counties' in the spill impact rule formula," said Baker, who was appointed by Governor Rick Perry to the RESTORE Council. But he emphasized it was important to note that the finding "does not affect Harris County's ability to apply for and receive RESTORE Act funds."